As resorts are allowing more and more human powered traffic on their slopes, the demand for a lightweight boot that walks well and skis even better is at an all-time high. Designed with in-bounds human-powered skiing in mind, the Dynafit SpeedFit boot is perfect for your new favorite hobby. 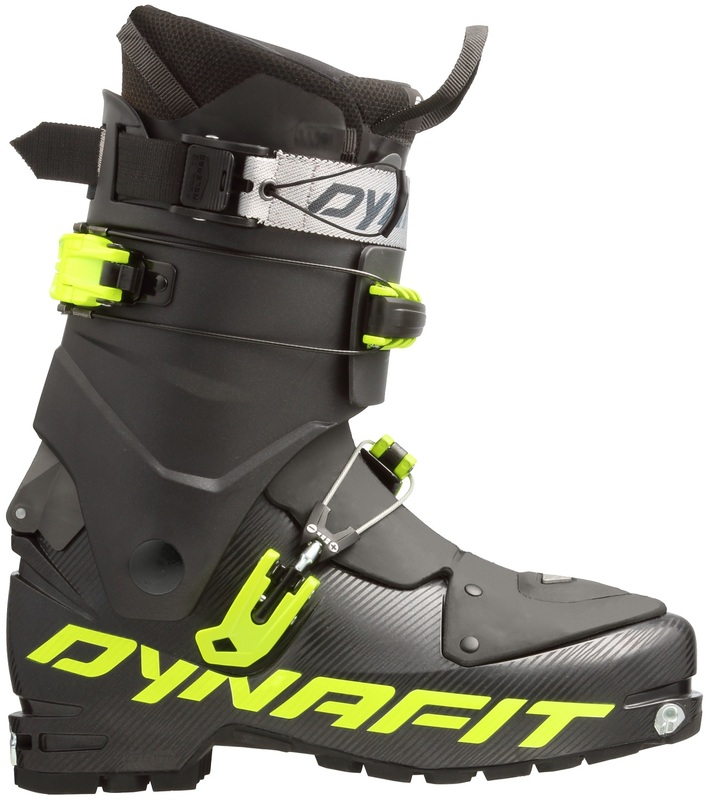 However, a boot capable of ripping groomers and skiing powder within resort boundaries will continue Dynafit's tradition of excellence among seasoned backcountry skiers. In fact, the SpeedFit is built on the TLT6 mold so a good fit there means a good fit here. Dynafit simplified the TLT6 concept with a fixed, flexible tongue that blends the benefits of using the classic boot with and without the old removable stiffeners. In any capacity, a full Grilamid construction ensures reliability in the field at a price-to-weight ratio that is tough to beat. Expand your horizons anywhere on the mountain with the new Speed Fit boots. Flex Tongue Design enables easy walking and powerful skiing. Ultra Lock System 2.0 promotes hassle-free, one-motion transitions. Custom Light liner ensures warmth and comfort throughout the day. Quick-release Ultra Lock power strap maximizes responsiveness. QuickStep fittings means quick binding entry and reliable skiing. Two forward lean options to choose from to dial in your stance. Pomoca Climb soles are rugged and grippy. How do these boots fit? Super narrow or wider? Max, these boots have a fairly average last width. Is the dynafit 25/25.5 speedfit boot the same? Hey Thomas, I just compared them and both should be identical! 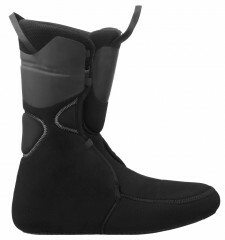 May I use these Speedfit boots with FRITSCHI Vipec EVO 12 bindings? Hey Fedor, Fritschi mentions the Speedfit boot having "possible restrictions", specifically the possibility of denting the boot toe during a skinning "fall". cause denting of the toe-box in very few and exceptional cases." This boot seems perfect for a money conscious non aggressive back country skier who worries more about getting hurt on the downhill than anything else and has a narrow foot. Is this true? And if it is, will these boots easily drive a pair of DPS 168 Wailers and 177 Huascarans in the backcountry (up and down Sierra mountains)? Thank you. Hi Bill, if you're skiing pretty conservatively then you'll probably be ok skiing this boot with those skis. At times you might find it a bit under-powered for the Huascaran in challenging snow but most of the time it should be a suitable boot for your needs. How does the instep height on the Speedfit compare to the Atomic Backland which seems to have a pretty roomy instep? I have really high arches so boots typically tend to be tight on the top of my foot. Hey Chris! I'd say the Speedfit has a fairly similar instep to the Backland as long as you haven't had the shell of the Backland molded yet. The forefoot width on this seems a touch wider than the Backland too. The Dynafit site says it is 1190 grams, your spec is 1078 grams per boot. Which is right? :) Thanks! Anton, We weigh all of the boots that come into the shop on a very accurate gram scale. In this case we weighed the 27.0 without a foot bed. Sometimes a product comes in under the manufacturer's listed weight. Hi Anton, they are definitely at least 100g lighter in that shell size! Can the Dynafit speedfit boot support a crampon? Yes, it will work with a number of step-in crampons. How does the stiffness of this in downhill mode compare to a TLT 5 or 6? Hey John, thanks for reaching out! It's like a TLT6 with a medium-ish tongue in it. Somewhere right between a tongued and tongueless TLT6 is the official consensus. 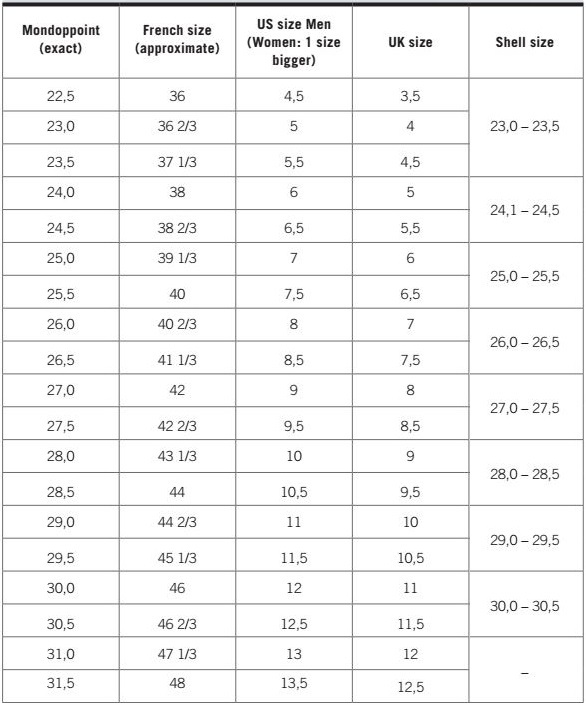 How does the forefoot last and volume of the Speedfit compares to the TLT7 and TLT6 ? Hi Boris, the lower shell is the same as the TLT6, with the liner thickness between the Performance and Mountain versions. The TLT7 shell is wider and higher volume, with the Expedition version having the thickest liner (and thus being most similar to the SpeedFit or TLT6). Have you skied this yet? curious to how it compares to the TLT6 as far as skiability and touring? Hey Ben, thanks for reaching out. The Speedfit will function very similarly (almost identically) to the TLT6. There were two tongues available for the TLT6, a Hard Tongue and a Soft Tongue. The Speedfit will likely walk and ski somewhere in between the TLT6 w/Hard Tongue and TLT6 w/Soft Tongue, though it hasn't been decided just how closely the Speedfit will favor one of those two options, so only time will tell! Hi Ben, the Speedfit walks really well, arguably better than the TLT7 Expedition. Bit softer in forward flex than the 7 though, it's actually between a soft-tongued TLT6 and a no-tongued TLT6. I'm looking to get back to a normal toe in a Dynafit boot (ditching the TLT7) so I safely use crampons again. Is the liner in this boot just a bit less robust than the TLT7 expedition? Hey Derek, not sure if robustness is the right comparison dimension, but these are more moldable with less of the tough exoskeleton material. Similar in starting thickness but more compressible. 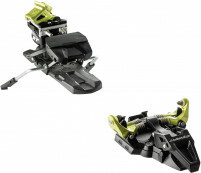 On the crampon front, the Dynafit Cramp-Ins have landed and look awesome!